Among the many features on the GE GSS25IFPDWW refrigerator is a control panel on the freezer door that controls the ice and water dispensers, temperature controls, light and a lock. If owners experience problems with the control lock, there are a few basic troubleshooting steps that may prove useful and can help return the refrigerator back to normal use and function. 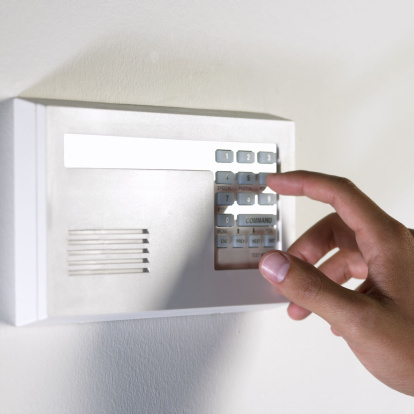 Push the "Lock" button and hold it for three seconds if none of the other buttons on the control pad will operate. Push and hold the "Lock" button for three seconds again to lock the control pad again to prevent children or other users from accessing and using the controls. Reset the refrigerator control by unplugging the unit or turning off the circuit breaker if the control lock will not unlock even after pressing and holding the "Lock" button. Wait 30 seconds and restore power or reset the circuit. This will perform a control reset and should restore function to the control panel lock.